John DeFilippo was the QB coach in Philadelphia in 2017 when Nick Foles took over and helped the Eagles win the Super Bowl. 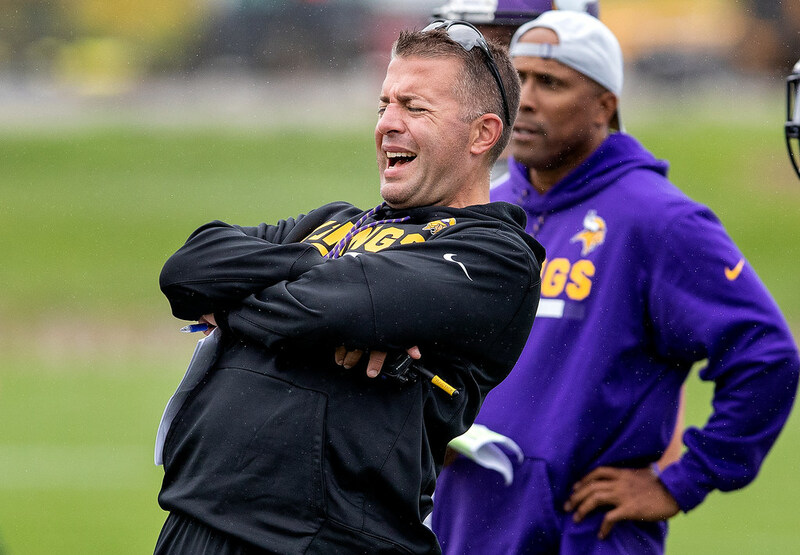 *If you didn’t notice, former Vikings offensive coordinator John DeFilippo landed on his feet and was recently named OC with the Jaguars. Like the Vikings, the Jaguars went from the conference title game in 2017 to a disappointing finish out of the playoffs in 2018 — with a drop from No. 5 to No. 27 in points per game fueling the free fall. DeFilippo couldn’t get more out of the Vikings in 2018, getting fired after 13 games (though how much was his fault is debatable). He’ll now be tasked with revamping Jacksonville’s offense, and early speculation is that he could have a familiar face helping him. DeFilippo was the QB coach in Philadelphia in 2017 when Nick Foles took over and helped the Eagles win the Super Bowl. Foles has played well the last two years in relief of the injured Carson Wentz, but he is slated to be a free agent. Jaguars coach Doug Marrone tried to downplay the connection between the two men, saying it had “zero” to do with the decision to hire DeFilippo. He’ll probably have something much different to say if Foles eventually signs with the Jaguars. *The Gophers women’s basketball team is on a four-game losing streak. The Timberwolves lost to Jimmy Butler and the 76ers by 42 points on Tuesday. But surely the Gophers men’s basketball team could handle Illinois on Wednesday and break the string of bad local basketball, right? You would think so, given that Illinois was winless in Big Ten play coming in. But, um, the Gophers lost 95-68. Much like the women’s team’s bad loss to Illinois earlier in the year, the Gophers’ loss Wednesday could leave a lasting mark on the team’s NCAA tournament hopes. We’ll see how resilient all those teams are in the coming weeks. *James Harden scored 58 points in an overtime loss Wednesday to Brooklyn, one game after dropping 57 for the Rockets. With several key Rockets injured, nothing quite illustrates Harden’s “me against the world” mentality better than this stat: Zero of those 115 combined points in the last two games came on assists from teammates. If you didn’t like watching Harden before — he’s probably the most talented player I dislike watching in any sport — than you surely don’t like him now. The Rockets, by the way, attempted 70 three-pointers in the game — including seven from newly acquired former Wolves wing James Nunnally, who made three of those attempts in his 25 minutes. *The Wild’s acquisition of forward Pontus Aberg was a low-risk, low-to-medium-reward move. He could provide enough scoring punch in select games to help the Wild scratch its way into a playoff spot, but that’s about all.